Now used for magazines and books, originally these were used for sheet music. 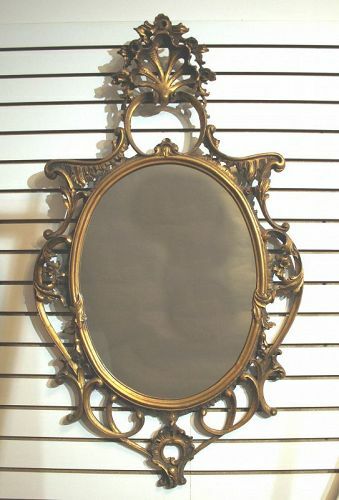 Antique Continental Carved and Gilt Wood Oval Mirror, having openwork foliate and shell form decoration. Probably French, late 19th Century Frame Size" 45" x 25.5" Plate Size: 22" x 16"
Fine Large Pair of Solid Brass Jamb Hooks with round backplate, single arm and urn form finial. 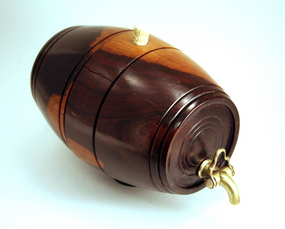 Diameter of back plate: 4"
Antique English small barrel in lignum vitae with ivory stopper and later brass spout. 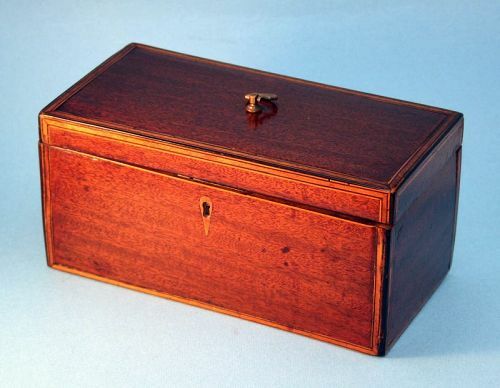 Early-mid 19th century. 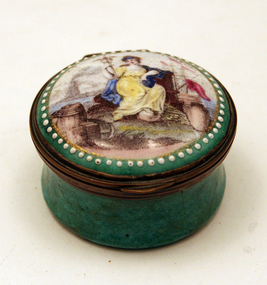 English 18th-century Enamel Box, "A Reward for Merit"
English, Bilston, 18th century, patch box. 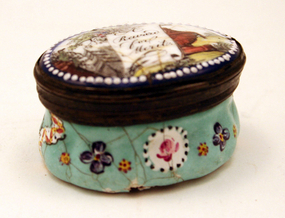 These memento boxes were popular at the end of the eighteenth century and frequently given as tokens of friendship and love. 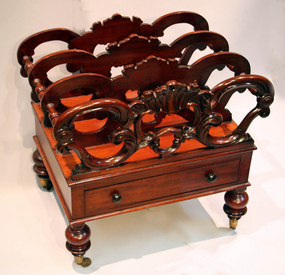 Usually oval in shape, but also circular and rectangular, their decoration reflected the popular styles of the day. For example, by the 1790s Neoclassical style swags, doves, hearts, and borders were the most commonly used decoration of the day. Early Worcester tea cup, tea bowl and saucer in the style of Japanese Imari porcelains: underglaze blue and white decoration with overglaze red and gold enamel. Late 18th Century. Provenance: From the Cockrell Collection of Tea Equipage amd Export Porcelain.